Palazzo Vecchio: enjoy your tour with a private guide! 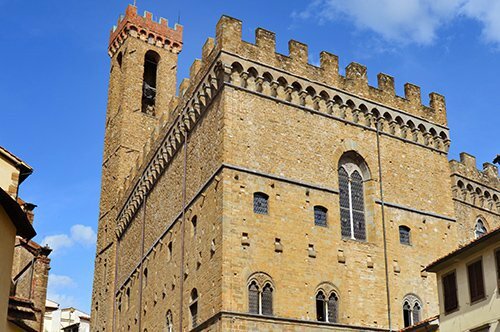 Palazzo Vecchio is one of the most important and well-known symbols of Florence and represents a splendid example of medieval civil architecture. 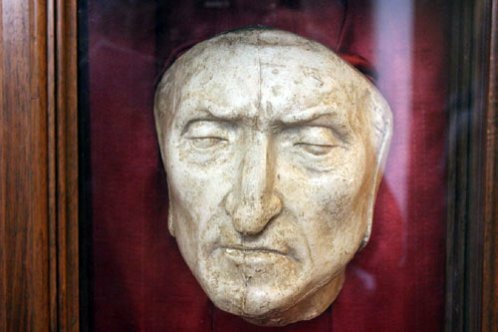 When visiting the part of the palace today used as a museum, we will have the opportunity to see the splendid Salone dei Cinquecento, a majestic hall of 54 meters long and 23 meters wide, built in only seven months by Simone del Pollaiolo by will of Girolamo Savonarola. When Cosimo I de Medici was named Duke and settled in the Palazzo Vecchio, he used the Salone dei Cinquecento as a representation hall to receive the ambassadors and the people. The ceiling of the Hall is presented in the form of drawers and is decorated with a series of paintings that celebrate the life of Cosimo I. The statues of the hall represent the “Fatiche di Ercole”, while the Vasari frescoes that decorate the walls represent the successes that Cosimo wanted to celebrate for his military victories over Pisa and Siena. Continuing with the tour inside the Palace, we enter the Gallery of Leone X, one of the Medici Popes. Going up the stairs to the upper floor, it is possible to visit first the Quartiere degli Elementi (Hall of the Elements), residence of Cosimo I and then take a walk through a balcony overlooking the Salone dei Cinquecento (Hall of Five Hundred) the Quartiere di Eleonora (Hall of Eleonora), the residence of the wife of Cosimo I, Eleonora da Toledo. 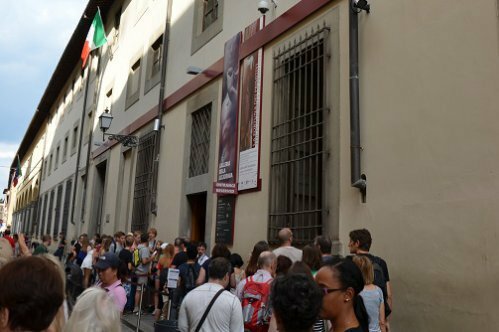 The tour ends in the Audience Hall, the Sala dei Gigli and the Wardrobe Room. The Palazzo dei Priori (Palace of Priori) changed its name in the 15th century to Palazzo della Signoria (Palace of the Signoria), then to Palazzo Ducale (Doge’s Palace) and later to Palazzo Vecchio (Old Palace), it was built in the Piazza della Signoria (Signoria Square) between the 13th and 14th centuries. It was born to be the seat of the Gonfaloniere of Justice and of Priors of the Arts (representative or agent of the artists). 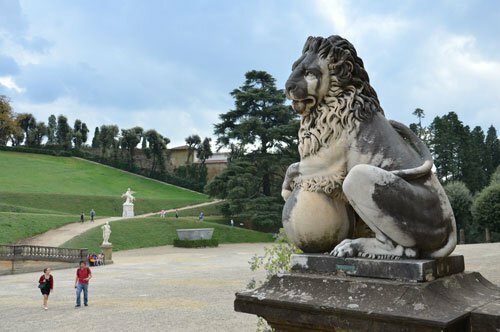 Over the years it has undergone many changes and restructurings, especially those made during the 16th century, to allow this palace to become Cosimo I de Medici's residence. 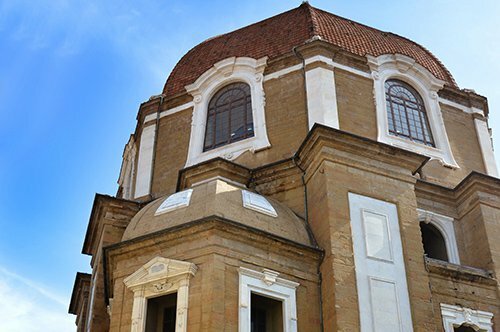 However, it continued to function as the headquarters of the government offices and even now it is the seat of the municipality of Florence and it has been since 1871. During the second half of the 1800, it was for six years the seat of the Parliament of the Kingdom of Italy. 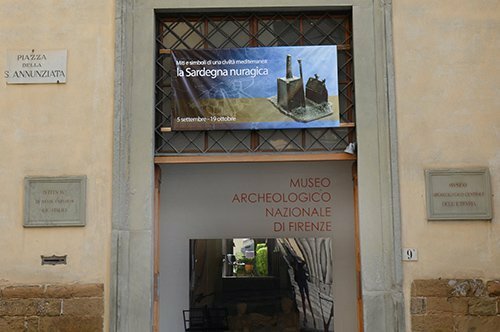 Today it is the headquarters of a museum which route takes us to the rooms inhabited by the Medici family, a work by Vasari, Ghirlandaio and Bronzino that allows us to admire, among other things, the works of the famous artists Donatello and Michelangelo. WHAT IS THE PALAZZO VECCHIO (OLD PALACE) NOWADAYS? Palazzo Vecchio is currently the seat of the town hall of the city of Florence, although it has been, to a large extent, converted into a museum. The medieval architecture of the palace is the result of the design of Vasari, a great architect of the time who has allowed us to appreciate in his style, the ideals of freedom of the municipalities of Italy through the solidity and simplicity with which the Palace was conceived. It is part of the palace, and with it is a symbol of the city of Florence, the Tower of Arnolfo, an atypical tower of the 1300 that is not in the center of the building as it was built on the preexistent tower. The Arnolfo tower was also the place where Cosimo the elder and Savonarola were made prisoners. The Palazzo Vecchio has a main entrance from Piazza della Signoria and two large side doors, called Porta della Tramontana (North Wind Gate), the Porta della Dogana (Customs Gate) respectively. Did you know that in a painting by Vasari in the Salone dei Cinquecento (Hall of the Five Hundred) it is possible to read a small text that says "Cerca Trova" (Search Find) to which scholars have not yet been able to give a precise meaning? 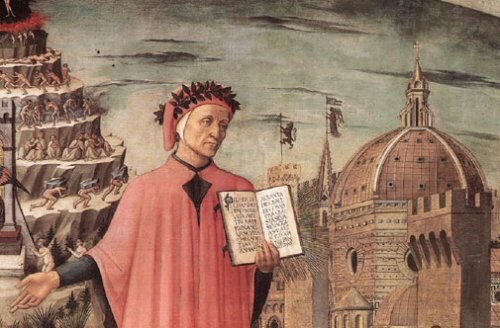 It is believed that perhaps it is a reference to Dante's hell. Did you know that in the Wardrobe Room, a place where a series of geographical maps of historical interest and a large world map are exhibited, is a secret passage hidden between the large closets that led to the dressing room of the second wife of Francesco I de Medici? Did you know that the lilies that decorate the Hall of Lilies do not represent the symbol of the city of Florence (red lily on a white background) but rather that of the d'Angiò family (golden lily on a blue background). Did you know that behind the painting of the "Battle of Marciano della Chiana" by Vasari that adorns the spectacular Salone dei Cinquecento (Hall of the Five Hundred) there is a compartment that hides the painting of the famous "Battle of Anghiari" by Leonardo. 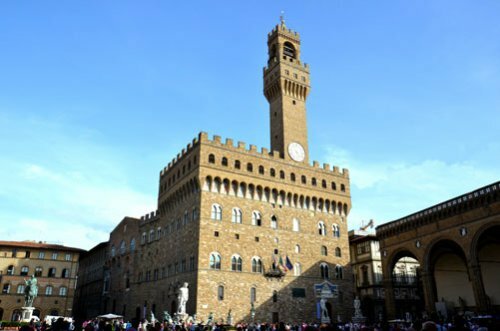 HOW TO VISIT THE PALAZZO VECCHIO (Old Palace)? Palazzo Vecchio has been the seat of the civil power of the city of Florence for more than seven centuries. Thanks to this fundamental role and its rich history, we suggest to visit it in the company of an expert guide. It is possible to choose between different options: for those who do not have much time there is the classic group visit that lasts 1 hour and a half, and for those who want to combine the visit of the Old Palace with other important places of the city in a completely unusual way, we propose the guided visit to Inferno by Dan Brown that will allow you to discover the most mysterious aspects of the city. The Palazzo Vecchio is located in the center of Florence, a few steps from Piazza della Signoria and the Loggia de' Lanzi. 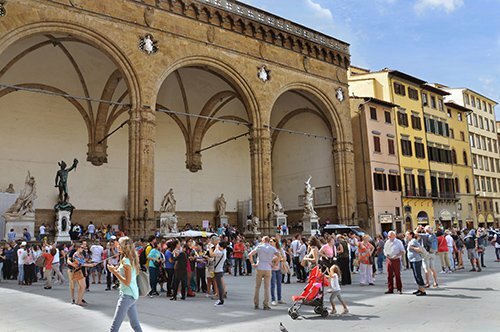 In all directions you can admire other splendid and characteristic monuments guide with the map of Florence and walk from the Medici Chapels to the Accademia Gallery where Michelangelo's David is exhibited, from the Bargello Museum to the San Marcos Museum and the Archaeological Museum. 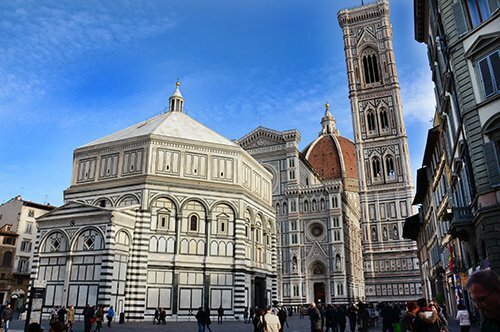 In the Piazza del Duomo you will find the Baptistery and the Duomo of Florence. 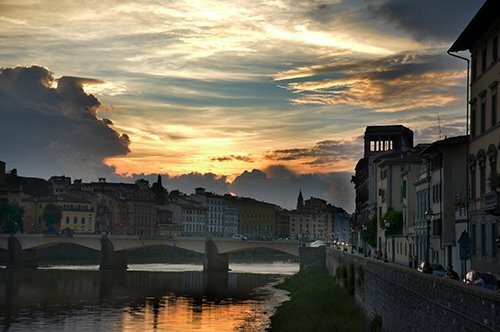 Walking towards the Arno River is the Uffizi Gallery and then the Ponte Vecchio that will guide you to the Oltrarno neighborhood, where you can visit the Bardini Museum. Going up the ramps you will reach Piazzale Michelangelo from where you will enjoy a magnificent panorama of the city. 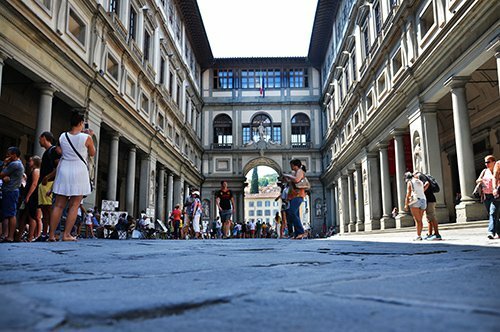 From the Palazzo Vecchio, the Vasari Corridor runs through the Uffizi Gallery, the Ponte Vecchio, the Boboli Gardens until reaching the Pitti Palace. 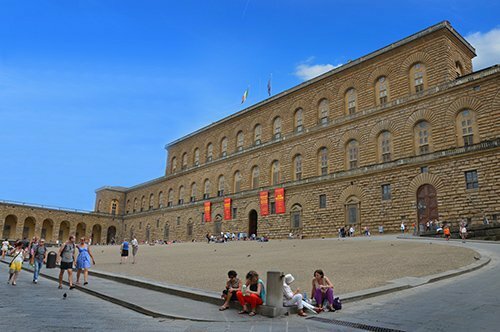 Inside the Pitti Palace you can visit two wonderful art galleries, the Modern Art Gallery and the Palatine Gallery. 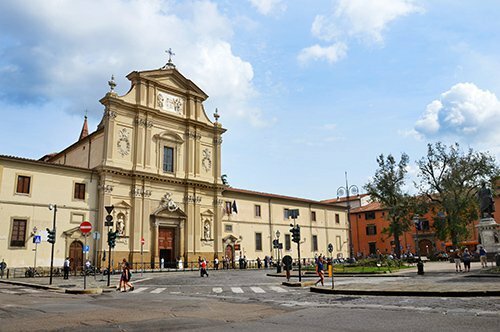 Not far from Palazzo Vecchio you can visit Piazza Santa Croce with its beautiful Basilica very close to the Bargello Museum and the fascinating church of Orsanmichele. If you want to get away from the city a bit, you can plan a visit to the Leaning Tower of Pisa in Piazza dei Miracoli or discover the many characteristic towns of Tuscany, such as San Gimignano. 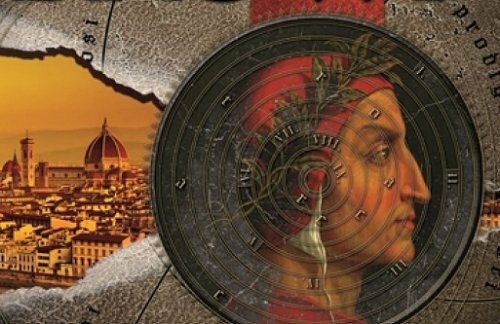 And if Dan Brown's Inferno romance has impressed you, discover the words "Cerca Trova” (Search Find) visiting the Palazzo Vecchio and the Salone dei Cinquecento (Hall of the Five Hundred), which was the reference point for the book.